Every other week, Anna Hezel talks about the innovations, decorations, and other quiet touches that make a party memorable. 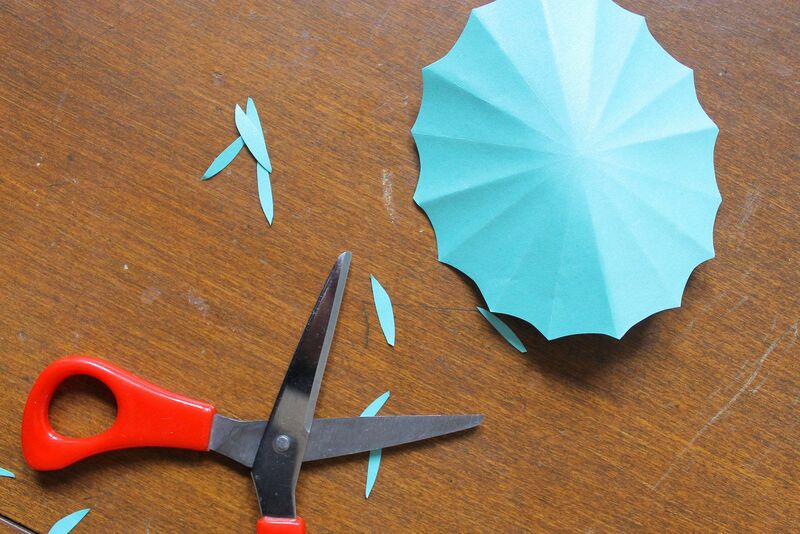 Today: Bring the spirit of Spring Break to your next party with DIY drink umbrellas. Whether or not you’ve managed to fit a raucous sunny vacation into your year so far, you deserve a Spring Break -- a beach, some sunshine, and some sort of colorful, pineapple-decked drink. A beach may be hard to come by if you’re stuck on the chilly East Coast for the spring like I am, but that shouldn’t stop us from pretending. More: 10 Spring Break-ready drinks that would look really good with a paper umbrella in them. 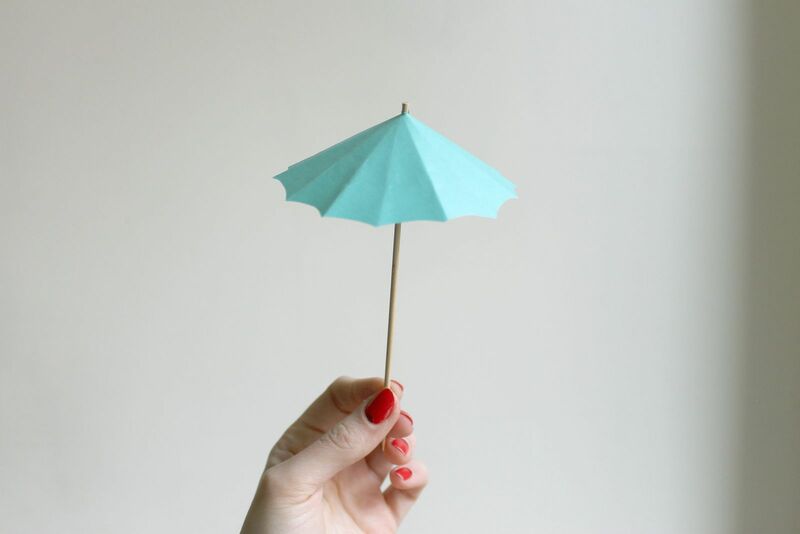 Paper drink umbrellas, miraculously, are a great way of celebrating both the spirit of spring break and the cold, current reality of April showers. 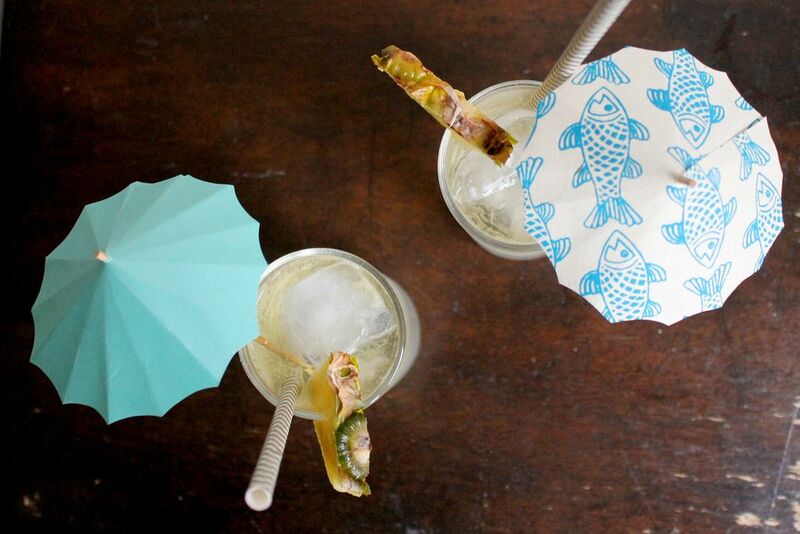 Nostalgic and novel, paper drink umbrellas are easy enough to come by in party stores, but the subtle touch of handmade versions can go a long way in making a party special. They only take a few minutes each to make, and this version is easy to adapt to the colors and motifs of your party. Try these for a springtime kid birthday party or atop a Dark ’n Stormy or a Piña Colada for an adult party. 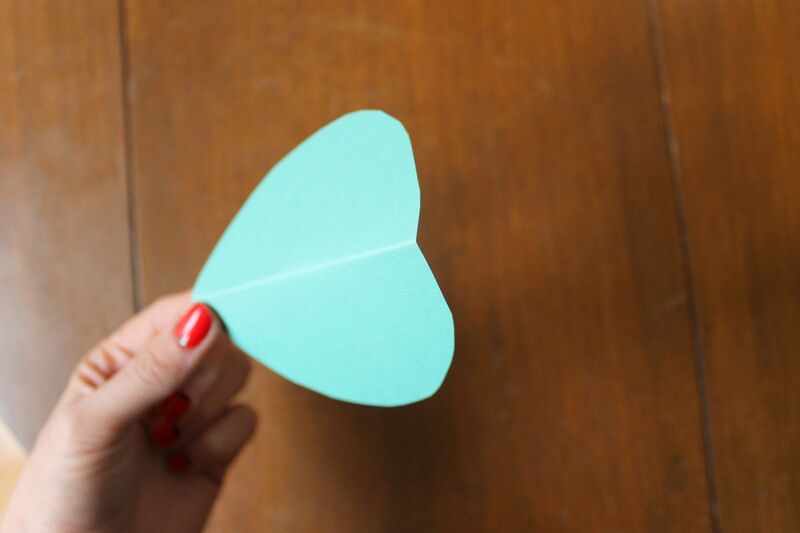 Using a coaster or the bottom of a tumbler glass, trace a circle onto a piece of paper. Cut the circle out, and fold it in half. 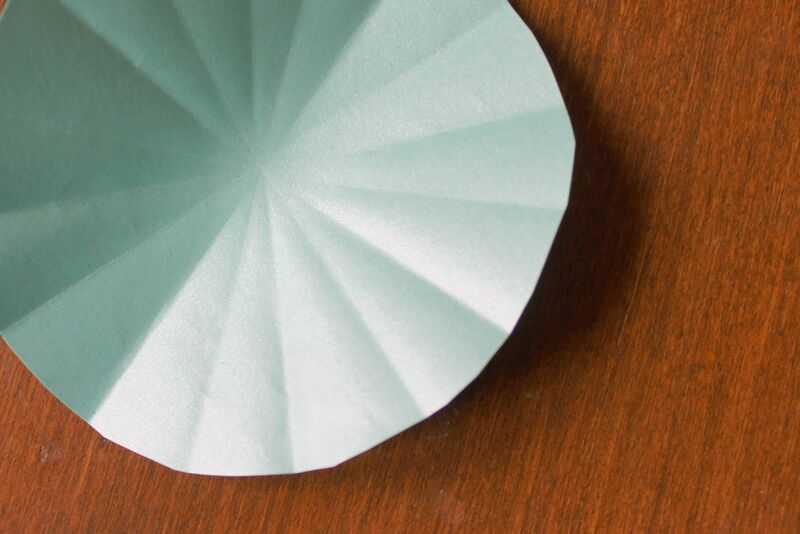 Unfold the circle, and then fold it in half again, this time creating a crease that is perpendicular to the first one. Unfold and fold again, this time creating a diagonal crease across the original cross. Continue folding the circle in half until you have a total of 8 creases. Now scallop the edge of the circle by cutting little almond shapes out between each of the creases. Cut a slit down one of the creases and stop when you get to the center of the circle. Overlap the two new edges you have just created to form an umbrella shape, and add a little piece of tape to the underside to hold the shape in place. Poke a wooden skewer or long toothpick through the top of the umbrella, and pour yourself a drink. I come to Brooklyn from Buffalo, New York, via Sarah Lawrence College. I work in book publishing, but I have always loved cooking and throwing parties. Awesome! Thanks for sharing such simple steps to make umbrella. Umbrella is a common drink design but I must agree its a timeless design that I still admire and love it on my zombie drink glass! Brilliant!! I'm making a beach cake and need just a couple of the umbrellas to stick in the "sand".. Thanks for the tip, yay! This is so clever! Can't wait to make these for my next party. These would be lovely for many spring parties in my future -- birthdays, Easter brunch (what glass of champagne couldn't use a fancy little umbrella? ), baby showers. I love it!